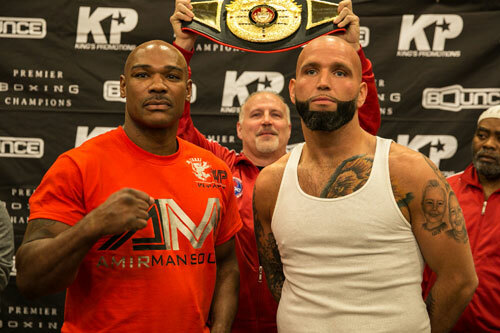 Friday night, Travis Kauffman, 31-1, 23 KOs, 1 ND, and Amir Mansour, 22-2-1, 16 KOs, square off for the vacant USBA heavyweight title. This a good match is one that has been brewing for quite a while, and one that puts both boxers’ career viability on the line. The scheduled 12-rounder, promoted by Kings Promotions, takes place in Kauffman’s backyard of Reading, PA, at the Santander Arena. For this fight between two solid but underappreciated heavyweights, everything comes down to whose had is raised when it is all over. Both boxers need a victory like never before, and success in Reading could earn the winner a shot at Deontay Wilder’s WBC title. If that isn’t incentive enough, the boxers will also enter the ring knowing that a loss could end their dreams of a world title, and perhaps even cap their career for good. Welcome to the crossroads, gentleman. When the stakes are this high, it often makes for a good fight. So that’s good news for Philly-area boxing fans who plan to take the drive out to Reading and watch this one live. 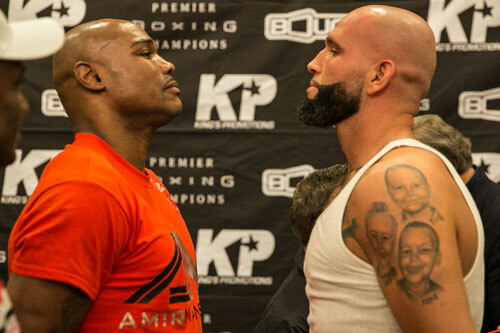 When this local-flavored match was first announced, it was originally slated for Birmingham, AL, lost in weeds on Deontay Wilder’s most recent hometown show. Luckily, the bout was moved to Reading and converted into the main event that it deserves to be. Although this is technically not a Philly vs. Philly clash, it’s about as close as you can get. Each fighter has a link to the city and both are certainly considered “ours”. 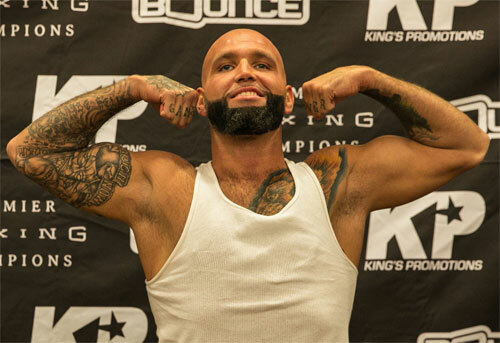 After years of performing on local cards, mostly promoted by his father, Marshall Kauffman (Kings Promotions), Travis Kauffman finally made some noise two years ago in a nationally televised bout against perennial tough guy Chris Arreola. Many wondered if Kauffman was ready for that big step, since he had never been in the ring with anyone close to that level. And even though Arreola was past his prime, the common thinking was that Kauffman would fall short. However, that was definitely not the case. If you look at Kauffman’s record, you won’t see a “W” on the line with Arreola’s name on it. However, anyone who saw the fight knows that Kauffman deserved the 12-round split decision, which was originally given to Arreola by one point. Eventually, the official verdict was changed to a No Decision when Arreola failed a post-fight drug test. However, this was a fight that Kauffman won going away. To be fair, the bout was close, but Kauffman scored a knockdown in round three, and showed a chin, good power, a fine jab and solid boxing skills. It was the night Travis put it all together. Against Mansour, we’ll learn if that Kauffman is the new Kauffman. Amir Mansour has been in with more experienced opponents than Kauffman. He’s mostly won his fights, but has shown weakness when his deadly punches can’t put his competition away. The best example of this was Mansour’s memorable bout with Steve Cunningham. 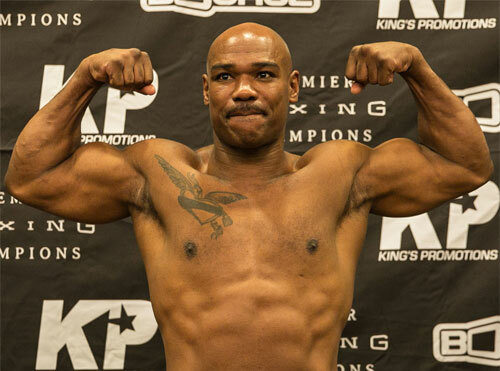 The former two-time cruiserweight champ was building a points lead when Mansour nearly knocked him dead in round five. Cunningham hit the floor twice in the round, but managed to get up both times and survive the onslaught. In the second half of the fight, Mansour chased him, but never caught him. Cunningham out-boxed Amir and took a close decision in the thrilling fight. Mansour certainly has the power to end most fights on the spot, but if an opponent can out-fox him and keep enough distance, Mansour can be bettered. However, when opponents fail to do this, Mansour adds to his body count climbs. Kauffman may have the boxing skills to foil Mansour’s strengths, but it is a risky task. He has to stay safe for 12 rounds. Kauffman took Arreola’s punches well, but Mansour has harder single-punch power. The fight will be a stern test of Kauffman’s chin. 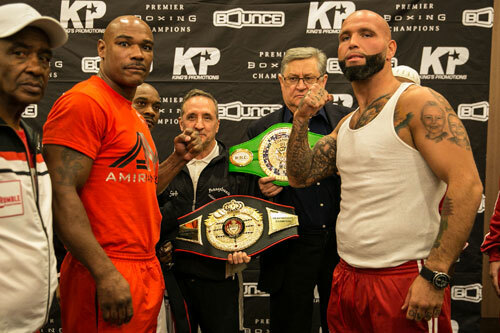 The fact that Cunningham’s trainer, Brother Naazim Richardson is also Kauffman’s chief second, should be an advantage. Naazim has been there and done that already. At 44 years of age, Mansour is running out of time to achieve that dream. He certainly could use the win AND a bit of luck after that. Most believe Kauffman will fight carefully and cautiously against Mansour, but he might just have a surprise for everyone. We’ll see Friday, and frankly, I can’t wait.